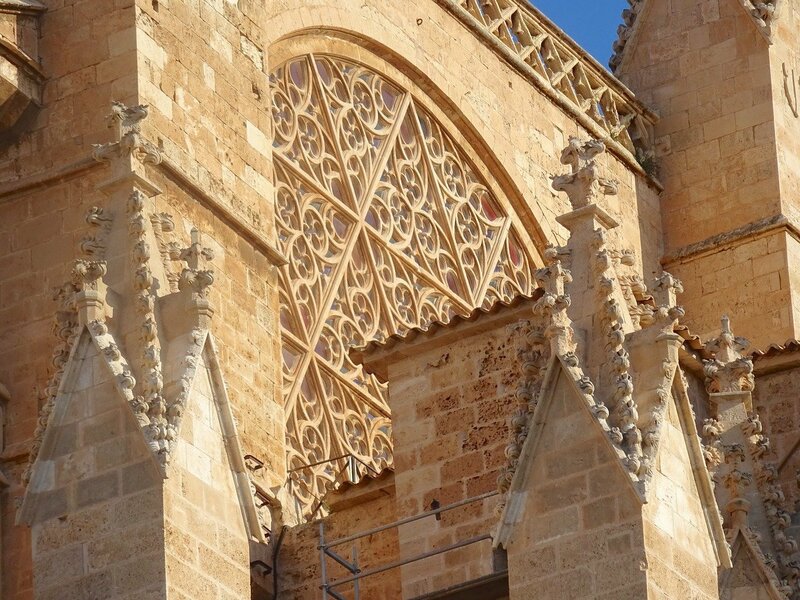 The Cathedral of Santa Maria of Palma, more commonly known as La Seu, is truly magnificent. Begun by King James I of Aragon in 1230 in thanksgiving for the conquest of Mallorca and built on the site of a former mosque, King James inadvertently created an all-time historical paradox; anyone kneeling at the altar in Mallorca’s cathedral does so in the direction of Mecca rather than Jerusalem. Palma Cathedral is the second largest of all Gothic cathedrals in the world. Taking almost four centuries ( opening in 1601) to complete, it has become one of the most architecturally renowned buildings in Europe as it encompasses almost all artistic styles since the Middle Ages. 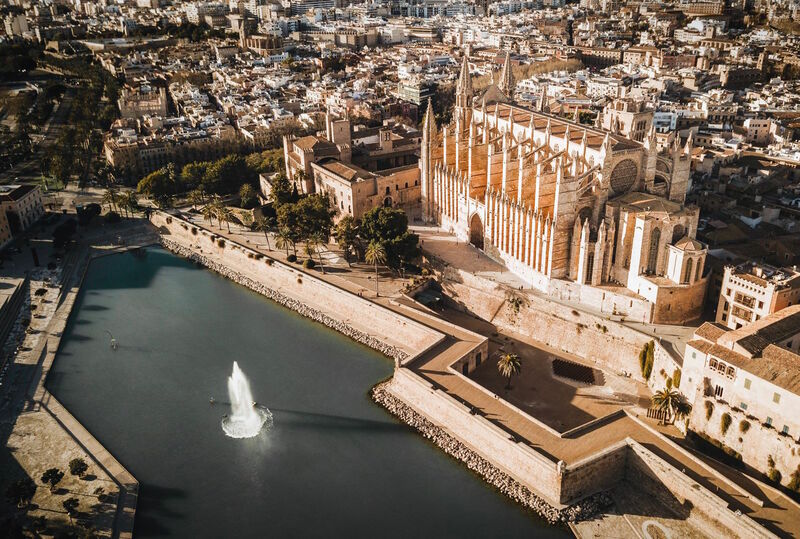 Constructed using the famous marés sandstone of Mallorca, pale golden in the sunshine, it dominates the Palma skyline and presides over the city. 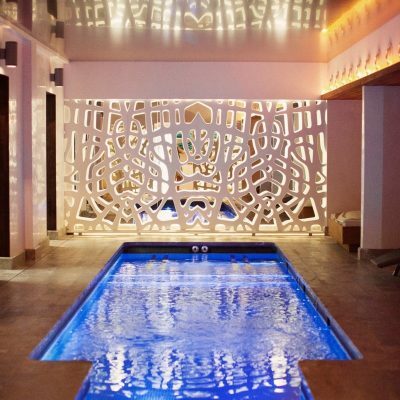 At the turn of the 20th century, the Bishop of Mallorca invited Antoni Gaudi to work on Palma Cathedral and while some of Gaudi´s ideas were adopted, it was Joan Rubio ( a pupil of Gaudi) and Gillem Reynes a colleague who completed this latest phase of work. 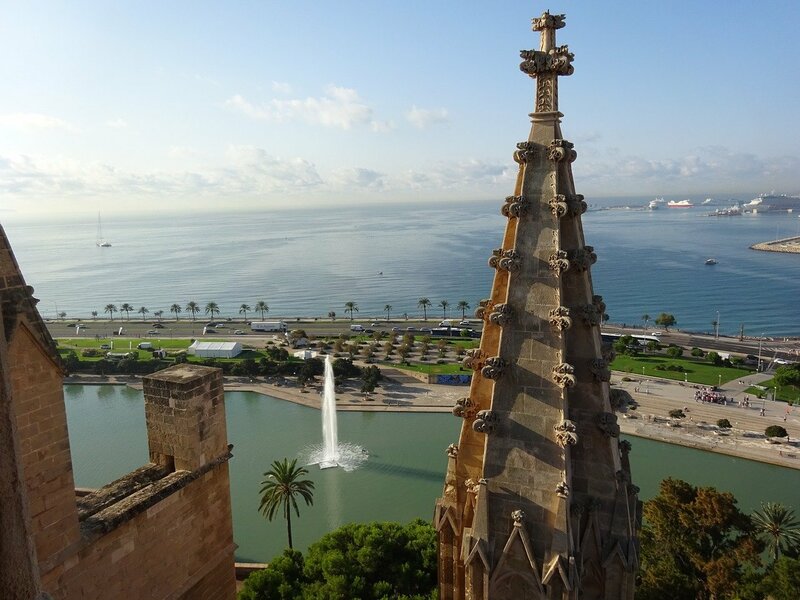 The most spectacular of the three facades is the southern that looks out on to the Bay of Palma where you can clearly appreciate the Gothic style with decorative features such as the gargoyles, railings and spires. On just two days a year, before and after the Winter Solstice, the positioning of the window allows morning sunlight to pass through the giant eastern window and form a reflection below its smaller western counterpart. 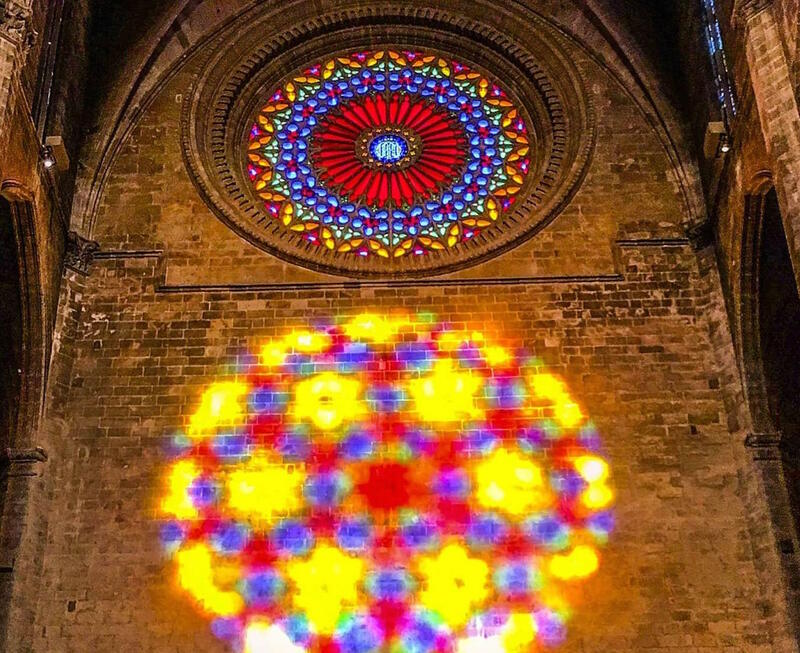 On the winter solstice itself, the alignment of the two windows allows the sun to enter the eastern window and pass through the western window forming an impression of the Cathedral being lit from inside. This amazing phenomenon is no trick of light of course but the result of a mathematical genius hundreds of years ago. For those with a head for heights there is a one hour tour of the Terraces of the Cathedral which can be booked up to two months ahead. But for those who prefer to keep their feet on the ground its many peaks and spires are most striking when seen from the waterside or at night when the cathedral is reflected in the waters of Parc de Mar.